A new website that includes an expanded line of metrics, AccuFlanges, and CAD drawings, with easier organization and search capabilities, has been unveiled by Stafford Manufacturing Corp. of Wilmington, Massachusetts. 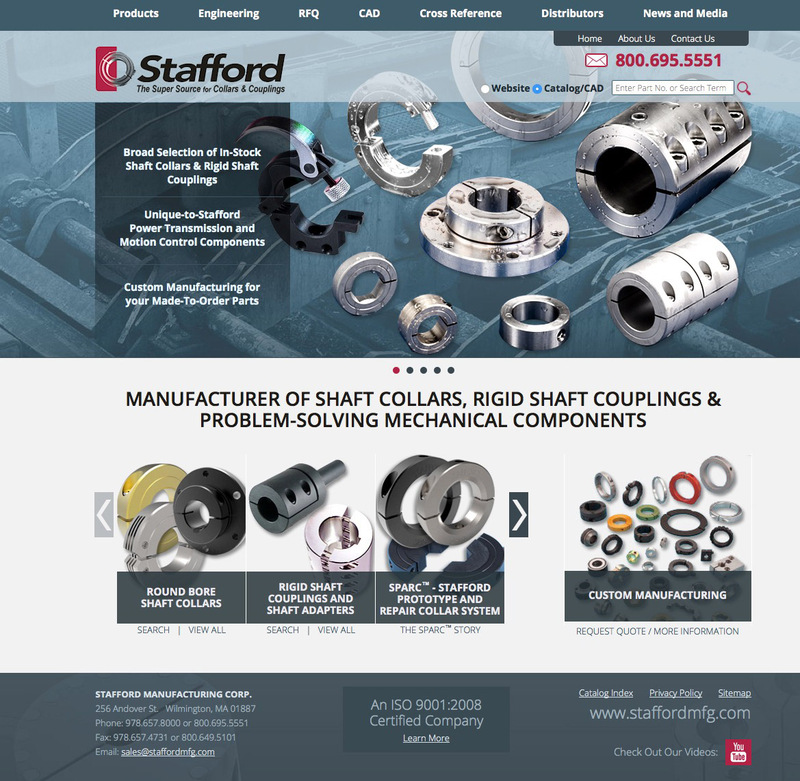 The New Stafford Manufacturing Website features shaft collars, rigid shaft couplings and problem-solving mechanical components with a wide range of photographs to illustrate their key features and benefits. Providing over 4,000 standard parts including 800 new items, this easy to navigate website is organized by product types, styles, materials, and applications. Designed to let visitors easily find what they need, the New Stafford Manu-facturing Website is highly intuitive and offers expanded search. Included among the new products is the SPARC™ System (Stafford Prototype and Repair Collar System) to let users create their own custom solutions within hours. A wide range of 2D and 3D CAD drawings can be downloaded instantly. The New Stafford Manufacturing Website is www.staffordmfg.com.